I’m a Swedish author and I moved to Australia twenty years ago: as I never could stand the long, cold and dark winters in my home country. I now write a crime fiction series set in my adopted hometown Sydney – and I write my novels in both English and Swedish. I am a graduate of Stockholm School of Arts: apart from being an author, I’m also an artist – I paint with oils and acrylics. My first crime fiction novel I evighetens skugga was published in Sweden by a Swedish publisher, Bokförlaget Bjurner & Bruno AB in 2002. My crime fiction series, DS Morgan Callaghan, was published in 2015 and consists of three novels to date: Game (English language edition) is the first novel in this series; Skuggspel (Swedish language edition of Game); and Borta (second novel in series, Swedish language edition). Skuggspel was listed #1 Best Seller in Swedish Language Fiction in November 2015 on Amazon and was also listed #1 Best Seller in Swedish eBooks on Amazon in March 2016. Borta was listed #4 Best Seller in Swedish eBooks on Amazon in September 2016. When I was about seven or eight years old, I started reading real-life murder stories in my grandmother’s lifestyle magazines, and I found the stories fascinating! I then started reading novels by Agatha Christie when I was about nine years old. By the time I was a teenager, I read all Swedish crime fiction novels I could get my hands on. So I guess you could say I grew up with crime fiction. Where this interest stems from, I really can’t tell you. Perhaps it was the darkness in Sweden that inspired me to stay indoors and read, and the darkness itself also lead to darker thoughts of the human nature… I think this darkness comes out in my novels, but I try to balance darkness with the light and beauty of the stories’ settings. Love and relationships are also heavily featured in my books. 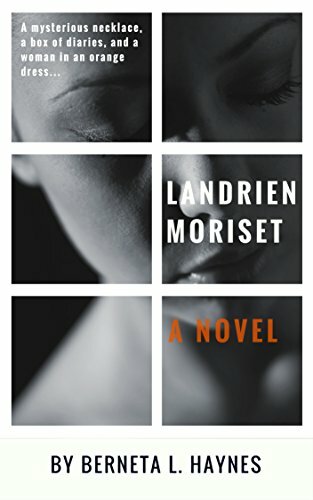 Morgan Callaghan is a flawed human being – he is far from perfect as he mainly operates from his own interests and desires, but these characteristics also serve him well in his career as a Detective Sergeant as he’s doggedly determined to never give up until he has succeeded in finding the truth. Morgan struggles to be understood by the people around him in his life: he does understand human beings on a deeper level, but he often fails to connect with people as their views are too different to his own perceptions. First of all, as Mo Hayder famously once said (about crime fiction novels): “In most crime novels the violent act, usually the murder, is the engine. Take that away and there’s little left to drive the story along. …Authors who aren’t precise about the violence they’re using to create tension are being dishonest with their readers.” A crime fiction novel is built on horrible, violent acts that have been inflicted on human beings – and that, as Ms. Hayder says, is the engine of the story. There need to be blood and violence and gruesome details as these are the facts that the stories are built upon and around. Secondly, I have put years of research into my novels – research on real life murderers and victims, police investigation methods and forensic data. I also study people and their behavior. But my stories are fictional: in addition to my research, I also make things up. In the end, I hope it all comes together to make a story that sounds real – it’s not real. As I mentioned, I grew up reading crime fiction, and I also grew up watching films by (Swedish filmmaker) Ingmar Bergman and Alfred Hitchcock. This all forms the base of the ‘dark’ inspiration for my work. I have also been violently attacked physically, so I know what it feels like to be a victim of crime. For the ‘light’ parts in my novels – the beauty, love, and zest for life – I draw inspiration from Sydney where I live now. In my capacity as an artist, I try to draw images with words in my novels that depict the many beautiful places in and around Sydney. The characters in my novels are made up of the thousands of people I have encountered in my life, and I have taken characteristics from many of them and boiled them down to a few people that you will meet in the pages of my books. I’m currently making a painting of DS Morgan Callaghan, and I base his portrait loosely on (Australian actor) Ben Mendelsohn. It’s my view of what Morgan looks like, so it’d be perfect if Ben Mendelsohn could play Morgan in a film adaptation! I’m currently translating the second novel in my series DS Morgan Callaghan from Swedish to English (I write my books in Swedish first). In the second novel, three young men disappear from the exclusive suburb Vaucluse in Sydney, and one of the boys is found floating dead in the harbor. DS Morgan Callaghan is faced with investigating the kidnappings and the murder – and he also continues the struggle to find harmony in his own personal life. How can you learn more about A.C. Efverman? For more information about A.C. Efverman and her novels, please visit her author page on Goodreads, or simply Google her.